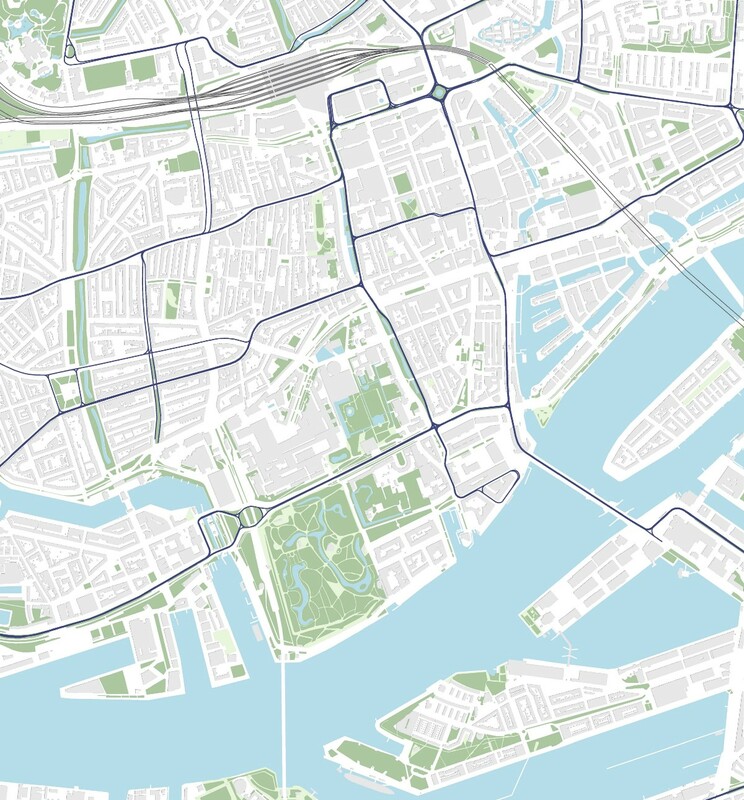 Our research for the location starts by analysing general noise in the city of Rotterdam. 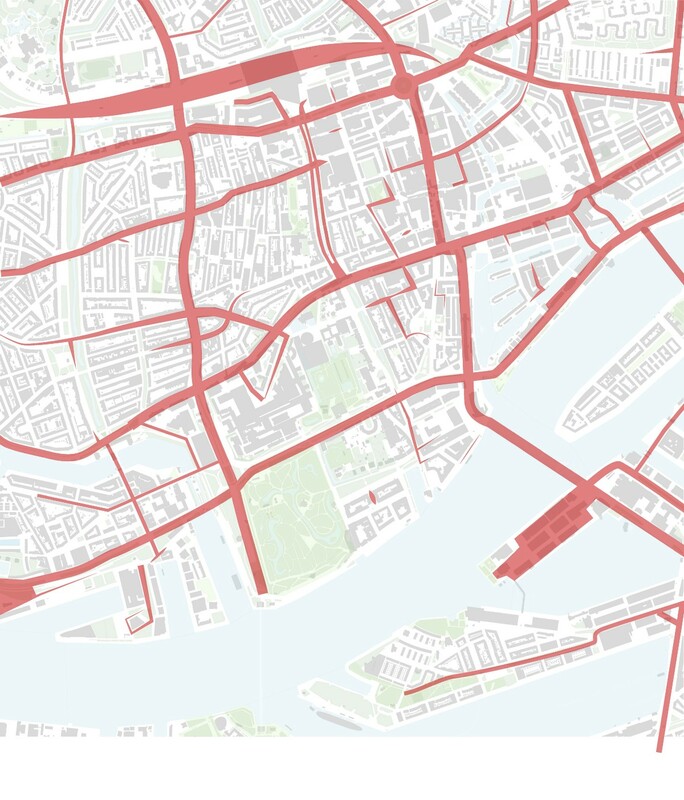 With roads maps, bicycles maps, trams lines and walking routes the data gathered were sufficient to spot possible locations to take into account for our project. According to the geluidsbelastingskaart 2017, figure 1, the colour of the building indicates the highest calculated noise load on the facades. 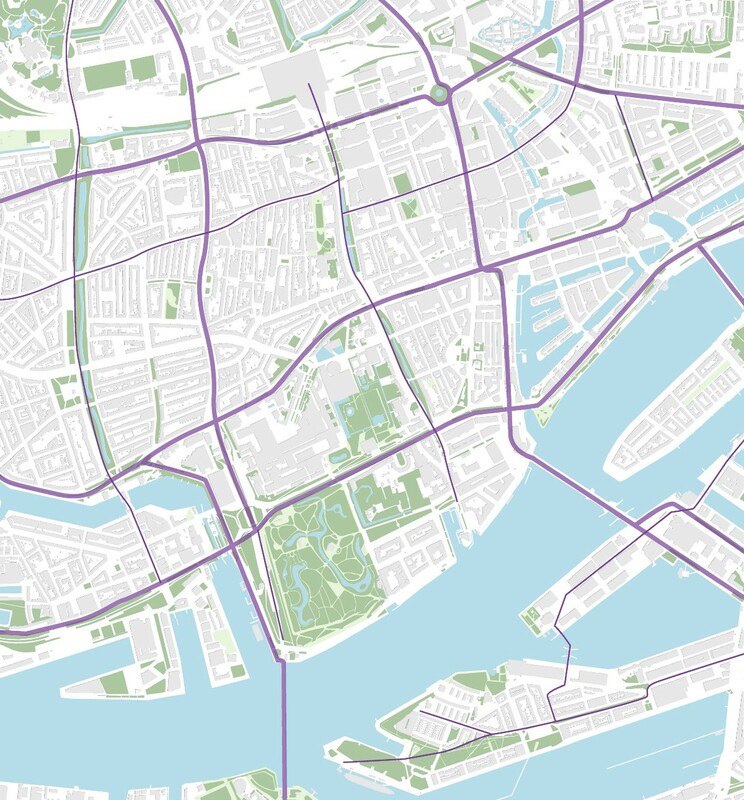 This means the noisiest streets in Rotterdam exceed 75 dB (purple colour). The measurements are taken 10 centimetres from the facades and they calculate the annual average noise load in dB Lden (day, evening, night). 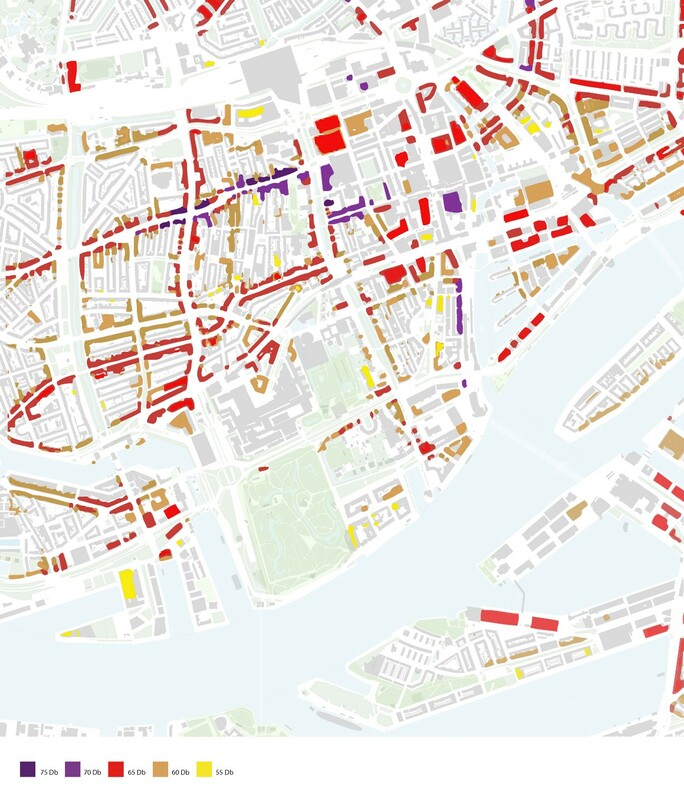 This means that what we see on this map strictly depends on the presence of buildings. 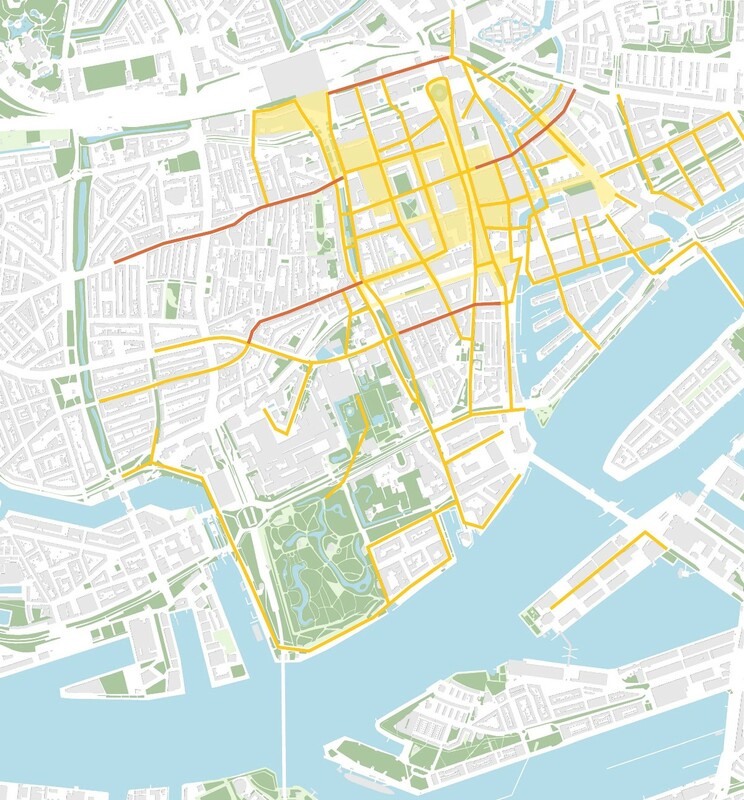 Whereas in figure 2, the map gives a good overview of the most noisiest areas in Rotterdam over a 24-hour period. The data from the following sound sources have been used: National roads (data from 2016), municipal and provincial roads (data from 2011), rail traffic (data from 2016), aviation (data from 2011), industry (number estimate), wind turbines (data from 2015). After looking at noises maps we also had to consider dynamic crowded urban spaces and high visibility. Hence, we investigated people routes. Looking at these maps, we drew the conclusion that tram rails and train railways are causing the most noise. The sound of a tram bending over a curve is one of the loudest and most annoying sound present the city. In figure 1 we can see that the highest noise coincide with very narrow streets and the presence of trams rails; figure 4. Therefore the sound of a tram passing by in narrow streets is reflected on the facade of buildings and remains into the urban space. We can also see that the most walked, figure 5, area is the centre of the city, probably due to the presence of shops and horeca. 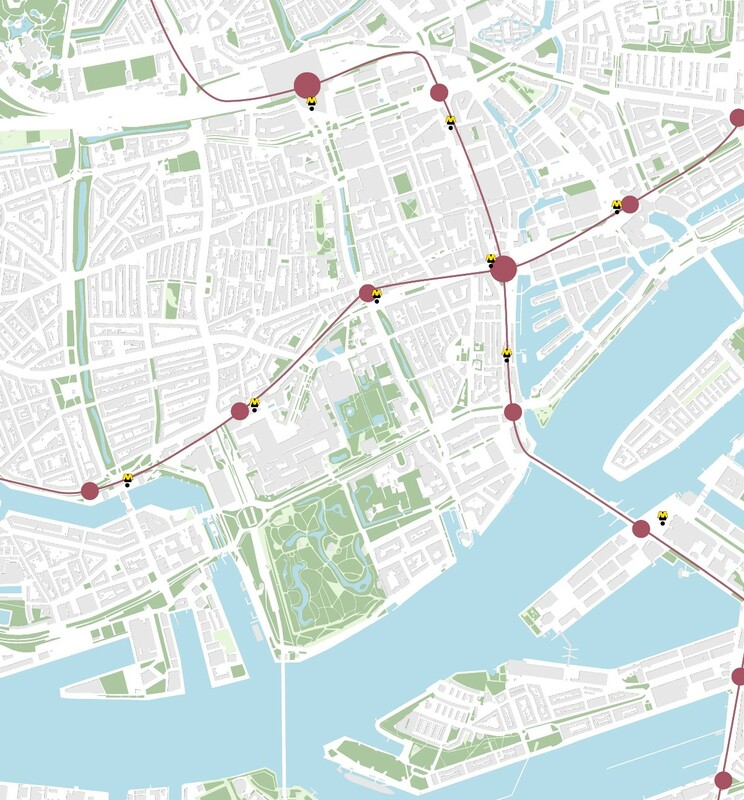 Whereas the knots, figure 6, in the city are places where people can switch from one transportation to another, this makes the places very dynamic.